I'm sure you've heard April showers bring May Flowers, so why not gather up a few and smell the roses (or lilies, or daffodils... you get the picture). 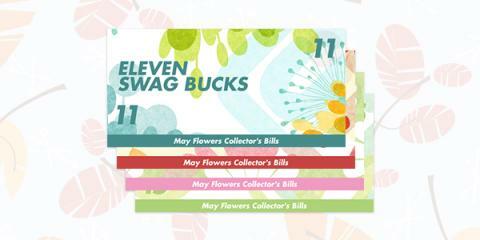 That's why Swagbucks has released the May Flowers Collector's Bills! Beginning Monday, May 5th through Monday, May 12th, you’ll have the chance to win these collectible bills through the use of Swagbucks Search. Random search wins will feature flowery-themed art which will automatically be stored in your account ledger under the Collector’s Bills tab. There’s nothing more required on your part than to use Swagbucks Search as you normally would. May Flowers Collector’s Bills can also be won while using the search function on our mobile apps & mobile site! Once you’ve collected all 4 bills you will immediately receive a 15 Swag Buck bonus. Why just search online when you can also get Swag Bucks for free gift cards? Last year, I used the gift cards I got from Swagbucks to pay for Christmas 2 years in a row.. Sign up for free here and get started towards your own free gift cards! 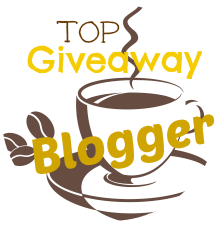 PLUS, Swagbucks is offering 70 free bonus point to my readers who sign up through May 16 when you use bonus code 4CMGRFRIENDS at registration. To enter this registration code, click the text that reads “I have a sign up code” and enter code 4CMGRFRIENDS while you’re signing up.